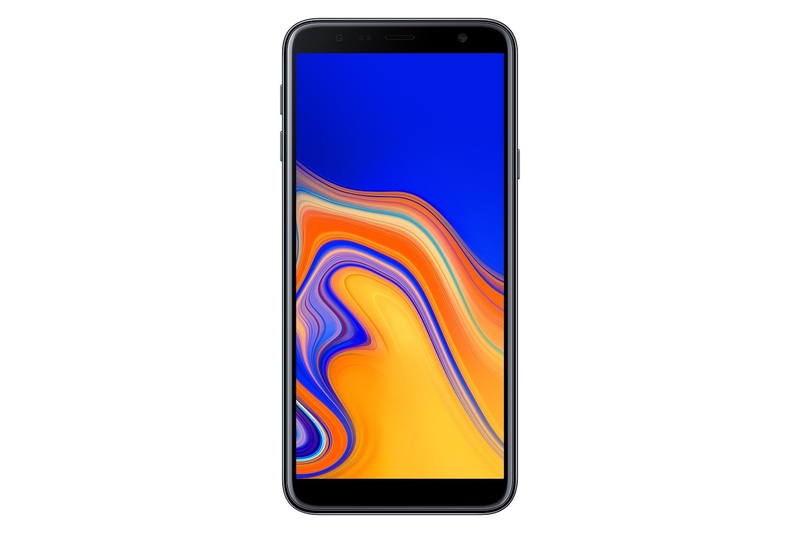 Despite rumors that Samsung considered shelving its popular J series for the Galaxy A line, the company added two new J additions today: the Galaxy J6+ and J4+, available in India starting September 25th. 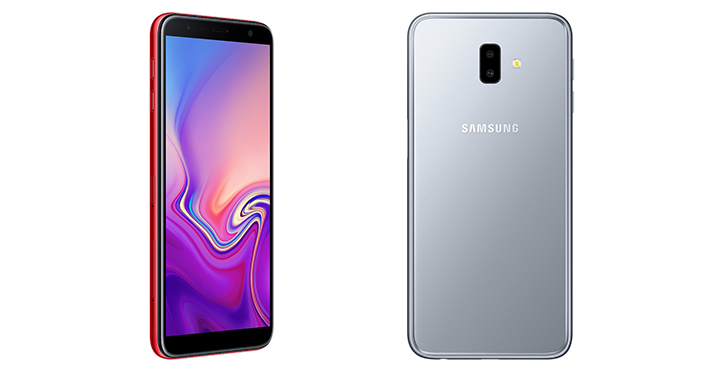 These latest handsets feature an all-glass finish, side fingerprint sensor, and a new Bitmoji-like "Emotify" feature. Above: J4+ front. Hero image: J6+ in red and gray. Targeting "the young and hip," both devices stock 6-inch, 720 x 1480 pixel IPS LCD displays. The fingerprint sensor, meanwhile, was shifted to the side — a first for any Galaxy handset, but a strategy consistently employed by Sony. Despite this, the handset retains a chunky forehead and chin, plus thin bezels on the sides. Among the key selling points are two "Make for India" features that leverage software from Indian startups. Emotify, somewhat similar to Bitmoji, lets users create 3D avatars that can act out specific animations and come along with greetings and taglines in 22 Indian languages. "Install Apps to SD Card" is more functional, providing a memory management solution that does precisely what you'd imagine from the title. The J6+ and J4+ operate Android Oreo and run on the quad-core Snapdragon 425 chipset with 3300 mAh batteries. 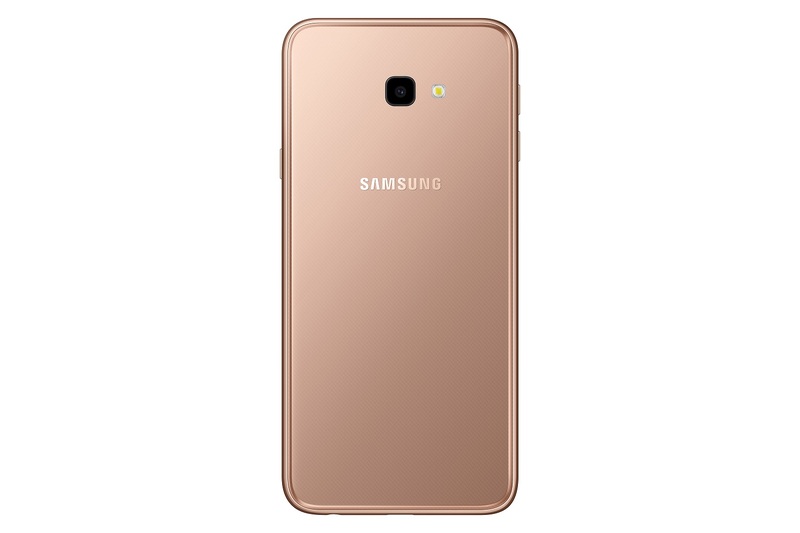 The slightly more expensive of the two, the J6+, offers either 64GB of internal storage and 4GB RAM, or 32GB/3GB. With the J4+, buyers can choose between 32GB/3GB, or 16GB/2GB. Apart from storage, the major distinction between the two phones is the camera setups. The J6+ has a 13MP/5MP dual rear camera and an 8MP front camera, while the J4+ has a single 13MP rear camera and a 5MP front camera. Both come in three colors: red, black, and blue for the J6+ and gold, black, and blue for the J4+. The J6+ costs INR 15,990 (roughly $220 USD) and the J4+ costs INR 10,990 (roughly $150 USD). The handsets will be available tomorrow on Amazon, Flipkart, and the Samsung Shop, as well as retail outlets in India.